Azerbaijan: A New Mass Culling of Stray Dogs. Information provided by welfare friends OIPA, Italy, EU. 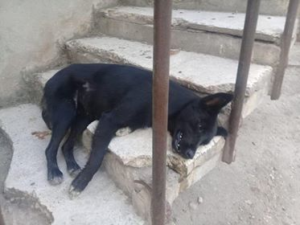 Baku animal activists, private citizens, tourists, and other onlookers, have been launching a new alarm in these days, through social networks, facebook and emails, to alert about a new mass killing of stray dogs undertaken by Baku (and other Azeri main cities) local authorities. 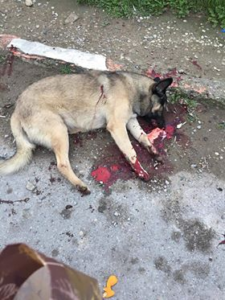 According to witnesses, Local Authorities are killing stray dogs by shooting them in the streets, probably in order to clean the city for the preparation of the Formula 1 Azerbaijan Grand Prix to be held on April 26th – 28th 2019. According to the messages received, City Hall Officers are justifying this action with the need to prevent the risk of rabies diffusion, even if it seems that the majority of homeless dogs killed, were followed by IDEA animal care center and they were vaccinated, neutered and healthy. It is well known that Asian Countries have a very low level of engagement in the protection of animal welfare and in the fight against animal suffering or killings. In the Voiceless Animal cruelty Index, Azerbaijan is ranked only 36th out of 50 countries. Reports of inhumane culling of cats and dogs in the capital Baku already emerged at an international level in 2012 when the country planned to host Eurovision Song Contest , in 2015 for European Games and for Formula 1 Race in 2016. OIPA already intervened in the past years, writing an official letter to the Azeri Authorities to stop inhuman method of stray dog population control. Even if it has been widely demonstrated that CNVR (Catch, Neuter, Vaccine and Release) Programs are the most efficient, economical, responsible and respectful methods to control and manage the number of stray dogs and the diffusion of diseases like rabies, Local Authorities in Azerbaijan continue to kill stray animals. Leyla Aliyeva, the daughter of the Azeri President, Ilham Aliyev, has personally fought against this inhuman, cruel and evidently unuseful strategy to face the emergency of stray animals. She opened an animal shelter in Baku, the IDEA Animal Care Center (for animal care, vaccination and sterilization); she tried to intervene directly with the Authorities by imposing a stop to dogs culling and by ordering the closure of a “shelter of death” in which stray dogs were poisoned or burned alive. But none of this helped. Killin gs are going on. Art.12 When a Party considers that the numbers of stray animals present it with a problem, it shall take the appropriate legislative and/or administrative measures necessary to reduce their numbers in a way which does not cause avoidable pain, suffering or distress. Any violations of the Convention, implying cruel treatments, injuries or killings, are also prohibited by the Administrative Offences Code of the Republic of Azerbaijan (Art. 274) and are punished with an economical fine (five hundred manat). Oipa will send an official communication to Governmental and Local Authorities to ask an immediate stop to cruelty on animals and a complete reconsideration of stray animals control strategy, in order to finally accomplish to National and International Legislation in force in the Country. England / Germany: WAV Photographs – We Want To Explain.